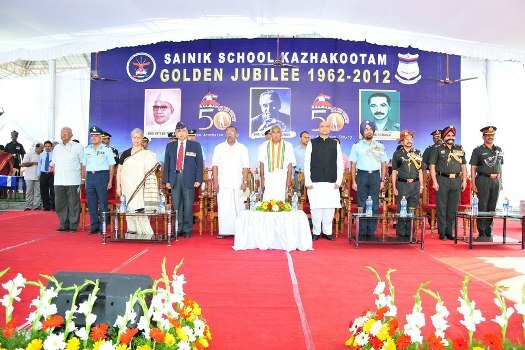 NCC Training is integral part of Sainik School curriculum. Hence it is mandatory for all cadets including day scholars to be in NCC. Training activities in Drill, WT, Field Craft, Firing, Aero Modelling, Ship Modelling and adventure activities are carried out as per the training programme. SSB classes and training in Obstacle Course are also conducted for the senior cadets in order to enable them for the entry into the Defence Forces. With a view to create awareness on the environment, tree plantation drive and other eco friendly activities are carried out. Cadets of class X appear for 'A' Certificate Examination in the month of February every year. 1. Should have 75% attendance in parades. 2. Should have attended atleast one camp. Cadets of class XI appear B certificate examination in the month of February every year. It is conducted by the NCC Group Thiruvananthapuram.